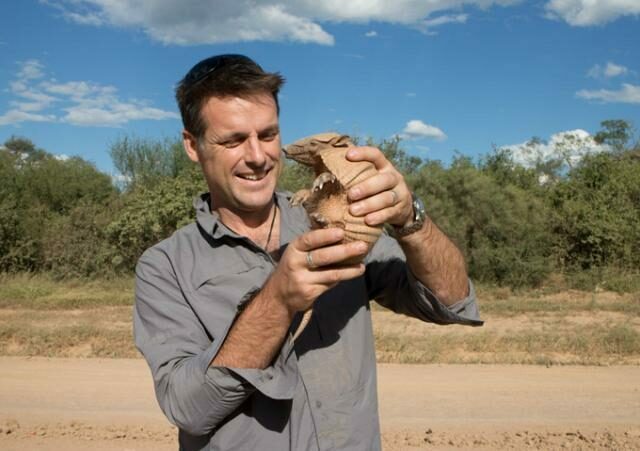 Nick Baker, television presenter and World Land Trust (WLT) ambassador, has appealed to the people of Paraguay to protect the Gran Chaco from deforestation. 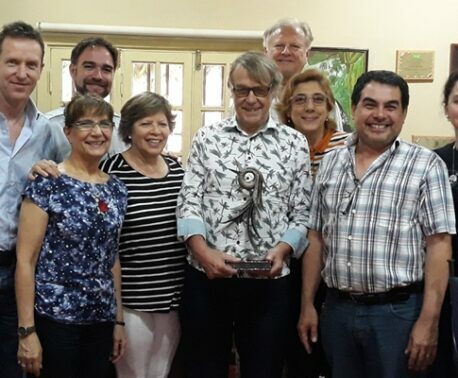 Nick was speaking at a public lecture in Asunción, the capital of Paraguay, at the end of a six day tour of the Gran Chaco. The trip was organised by WLT in partnership with Guyra Paraguay, WLT’s conservation partner in Paraguay. Quoting data supplied by Guyra Paraguay, Nick warned that Paraguay is now the country with the highest rate of deforestation in the world, which represents a serious threat to the rich biodiversity of the Chaco. The Gran Chaco, one of the largest forest reserves in the Americas, spans parts of Argentina, Bolivia and Brazil as well as Paraguay. During the address Nick highlighted the diversity of wildlife and vegetation in the Chaco which, although arid, has large wetland areas. He said that he was particularly fascinated by the Chaco’s many species of birds, and by the large numbers of butterflies. “You need to realise what you have here, and appreciate it, because it is unique,” said Nick. Nick’s talk, entitled Experiencing the Wild Chaco, attracted huge crowds to the Theatre of the Americas on 6 February 2014. 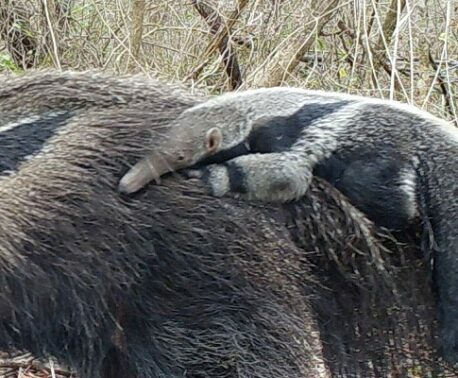 World Land Trust has been supporting conservation efforts in Paraguay since 2004 and has helped create reserves protecting a range of Paraguay’s threatened habitats. However, in view of the rapid rate of deforestation in Paraguay, additional funding for environmental protection in the Chaco is urgently needed. In 2013 alone, more than a million acres of forest (502,308 hectares in total) were cleared, according to recent data from Guyra Paraguay. You can support conservation in the Chaco by donating to WLT’s Action Fund and specifying Paraguay in the comments box.